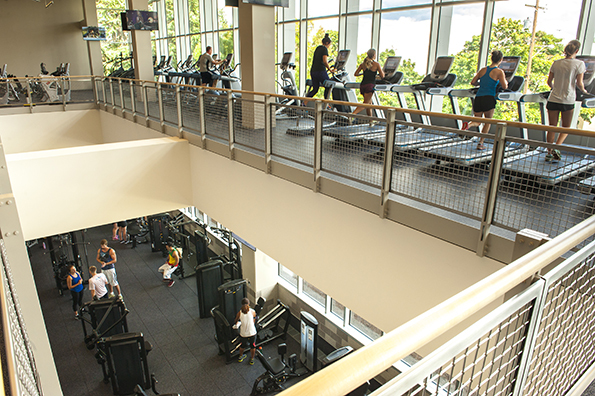 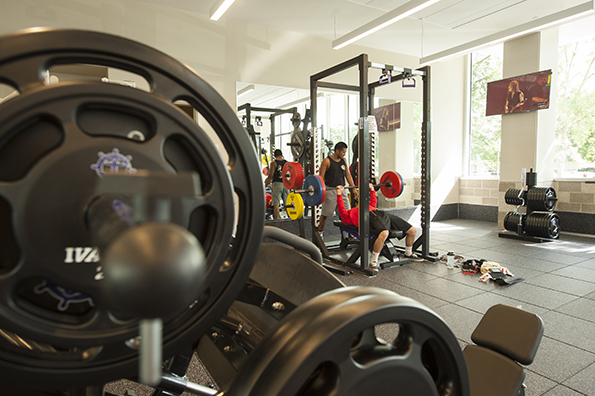 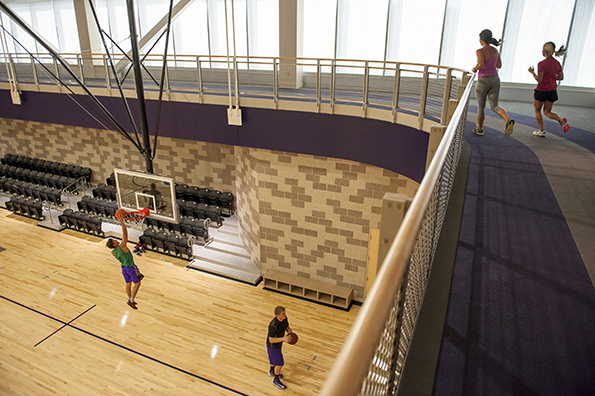 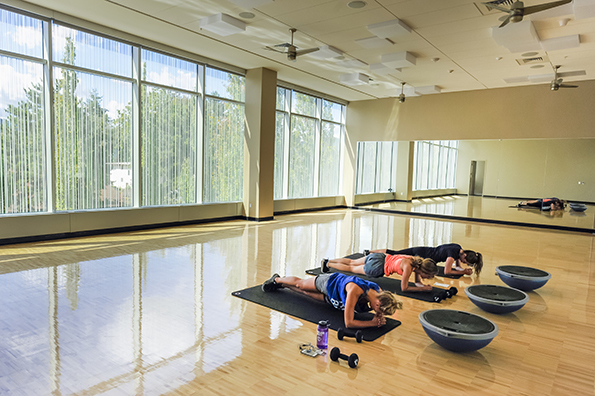 The Beauchamp Center includes a cardio machine loft, a weight training area, three studios for fitness classes, two gymnasiums with three basketball, volleyball courts, a rock wall, a suspended track, and an outdoor pursuits office and bike shop. 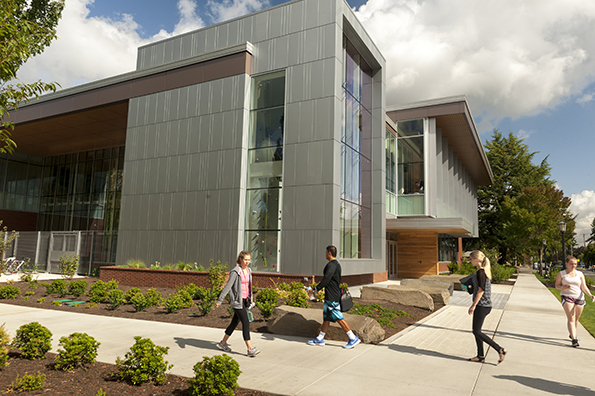 All enrolled students, undergraduate and graduate, have access to the center free of charge. 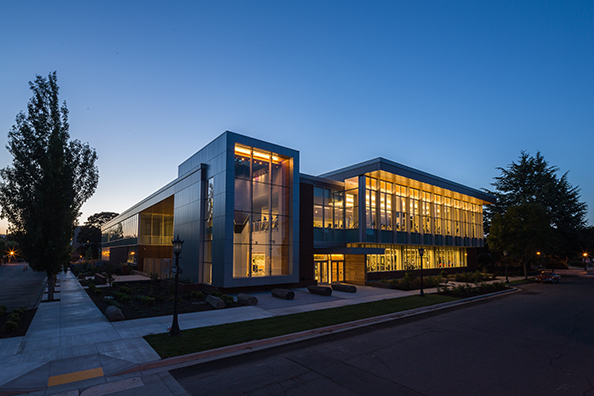 Timelapse photos of the construction can be found here.